Video: How to fire your banker! We’re always looking for entertaining, easy-to-understand ways to explain key concepts of the Bank On Yourself method. So we just completed a new – and very unusual – video that explains one of the most powerful features of Bank On Yourself – how it lets you bypass banks, finance and credit card companies altogether and become your own source of financing. This video also addresses how purchasing things like cars, vacations, business equipment, or a college education through a Bank On Yourself plan beats financing, leasing and even directly paying cash for them. HOW MUCH MONEY COULD YOU HAVE BY BECOMING YOUR OWN FINANCING SOURCE? To find out how much more money you could have when you fire your banker and become your own financing source, request a FREE, no-obligation Analysis. 1. Do you currently use Bank On Yourself? 2. What was the best part of the video? 3. What is still unclear about the Bank On Yourself concept? 4. What topics could we address that you think would give people more confidence to consider Bank On Yourself? 5. If you do not currently use Bank On Yourself, did this video make you more likely or less likely to request a free Analysis and get a referral to one of the Bank On Yourself Authorized Advisors? 6. 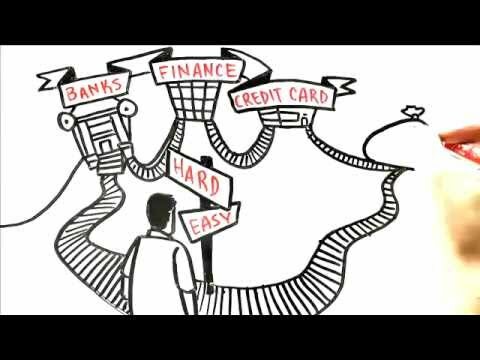 If you are currently using Bank On Yourself, do you feel that this type of video is something you could share with family, friends and colleagues to help them understand this method of managing your finances? Why or why not? 7. Is there any other feedback you’d like to give us? Most financial analysts claim our country’s economy is on the mend, but many people haven’t felt that yet. Maybe you’re one of these folks. If so, there are a few basic steps you can take to speed up your personal recovery. A budget isn’t a straight jacket for your wallet. It’s a plan for your mind, to help you be sure the things you spend your money on are the things you want or need most. Small amounts pile up. A daily coffee shop visit adds up to $100+ a month. Then there’s eating out, movies, alcohol, cigarettes, lotto tickets – you get the idea. When you spend money, write it down. Review your spending weekly, so you know where your money is going. Look for things you can cut. For example, buy your meals the old fashioned way – at the grocery store, not the drive-thru. And do most of your shopping around the perimeter of the market – near the outside walls. This is where you’ll find the fresh produce, dairy, and meats/poultry. Cut your food bill in half by avoiding pre-cooked or ready-to-eat stuff. …says 75-year-old Margie Alford of Austin, Texas. Yet, Margie’s financial planner is moving her CD money into stocks instead, after fruitlessly waiting for three years for interest rates to rise. As a result, retirees are taking on more risk… at a time they can least afford to. With interest rates on CD’s, saving and money market accounts not even keeping up with inflation, what other options do you have? Executive Summary: While teens can be hard to reach, the teenage years are the perfect time to teach kids the saving, spending, earning and investing habits they’ll require to enjoy a lifetime free of financial strain and worry. These days, money in and money out is mostly electronic, meaning the speed at which our children must make the right or wrong financial decisions has accelerated. Launch your teens’ money management education by explaining to them why most adults fail. Let children know that the solution can be found in the proven strategies of fiscal self-reliance that are embodied in the Bank on Yourself system and help your teens create their own vision of a secure and rewarding financial future. Russ Bragg has a higher financial IQ than most parents. He started out as a credit analyst for an international bank and began offering comprehensive financial planning services in 2000. He is an expert at helping clients define and then achieve financial independence. For Bragg, you might imagine, educating his teenage son and daughter about proper money management would be a no-brainer. Enticed by credit card solicitations with low interest rate come-ons, Bragg’s independent-minded son was in credit counseling by the time he was 18. Bragg’s daughter, on the other hand, while still a student, applied for and received a prestige credit line that even some of Bragg’s agency clients are unable to qualify for. “Same mother, same father, same food, same air” and two very different outcomes, observes Bragg wryly of his children’s money management styles. Many otherwise more-than-adequate moms and dads – those who’ve mastered subject matter as sensitive as teenage smoking, drinking, and drugs – have found their skill sets sorely lacking when it comes to the topic of money. A sprawling multi-year marathon and obstacle course that pits a tribe of well-intentioned parents, grandparents and other adults against the strong-willed, often perplexing sensibilities of the untamed adolescent mind. The challenge? One of modern family life’s most difficult: teaching teens to handle money responsibly. As detailed in the accompanying article, Sure-Fire Results: How Old Sensibilities Are Proving a Potent Balm for Modern Personal Finance Ailments,Tim Austin is one of the nation’s most-respected and leading proponents of revisiting the financial playbooks of our grandparents and great-grandparents. Using the following core principles, Austin’s clients have reversed years of debt accumulation and money struggles, allowing them to pay for their children’s college educations, repay all bank and credit card loans, and save safely and effectively for retirement. As I write this, the Dow is flirting yet again with the 10,000 level – something it has done dozens of times since it first closed above that threshold more than 11 years ago! People are understandably nervous, as evidence abounds that the economic recovery is faltering. An astonishing fact was revealed in a cover story in “The Hulbert Financial Digest” July issue, titled, “Slow and steady wins the race.” The digest is an independent rating service that has tracked investment newsletters for the past 30 years. Maybe you’re one of them. It appears that lots of boomers should be scared out of their wits – almost half of them could run out of money in retirement, according to a new study by the Employee Benefit Research Institute. Many people are adjusting to “the new normal” by postponing retirement. Things like meals out, new books and movies, travel, new clothes and home improvement projects. Can you live without those things? Sure. But why should you have to, after a lifetime of hard work and sacrifice?! ?